One of the best parts about having expendable money has to be flying in style. 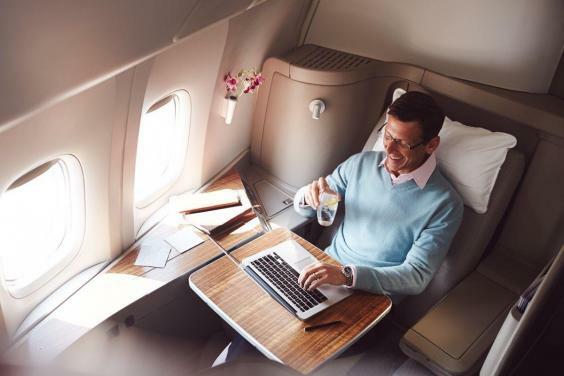 Being on a plane can be brutal — especially when traveling internationally — but a queen-sized bed, personal shower, or butler could definitely turn that experience around. 10. British Airway's first class cabin on the 787-9 Dreamliner features a 23-inch display screen that's controlled with a touchscreen remote control located in the seat console. Each seat also has two USB ports and a personal locker that comes with a mirror for in-flight touch ups. A one-way ticket from London to New Delhi will set you back about $5,000. 9. 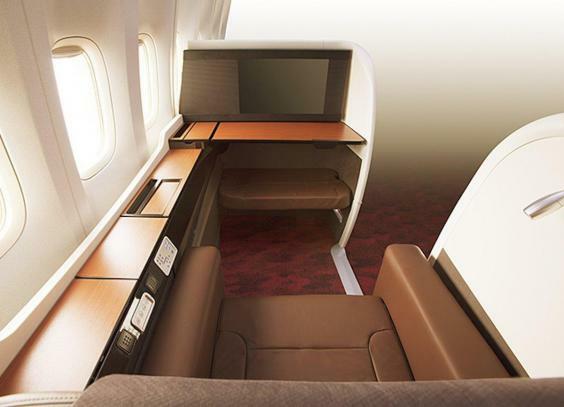 The first class cabins on Japan Airline's Sky Suite 777 have Woodgrain interiors and are closed off from the rest of the plane for added privacy. You can book a flight with the suite next month, but until then there's no word on price. Not only does the private suite turn into a cozy bed, but it comes with a 23-inch LCD monitor also. There's also space for luggage and a power socket so you can charge your devices. 8. 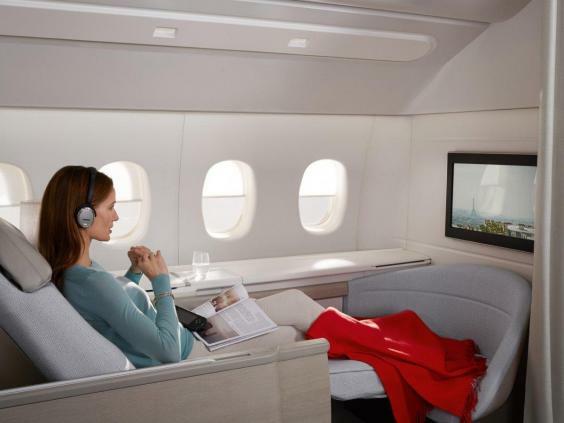 AirFrance offers a La Première option that can cost as much as $10,000 one way. It comes with a private suite option where your seat can turn into a bed. You can also take advantage of extra storage areas and personal coat service. It offers plenty of room for watching TV or reading. 7. 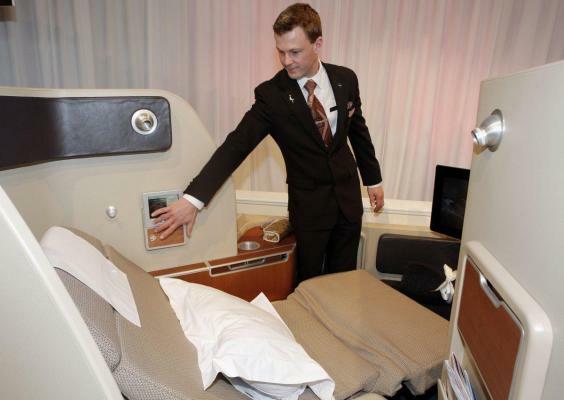 Qatar Airway's first class seats, which can cost $5,000 a pop, recline into a flat bed and come with a duvet. Customers part of first and business class can take advantage of Qatar Airway's sky lounge, which comes with a curved bar and bar snacks. 6. 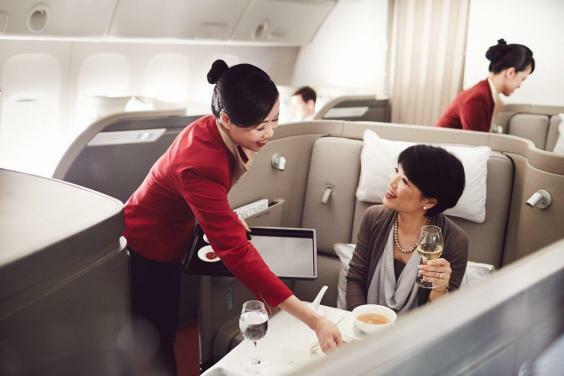 Qantas' first class flights, which cost upwards of $15,000, comes with some extra privacy, as the reclining chairs are tucked away. 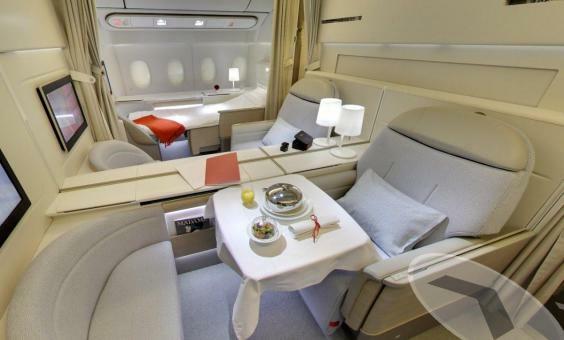 Passengers get some pretty nice amenities, including eye cream and pajamas, while flying. 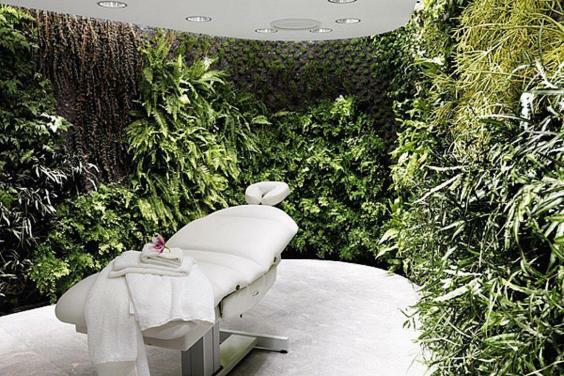 And Qantas first class travelers can even book an appointment at the airline's lounge spa for a pre-flight massage. 5. 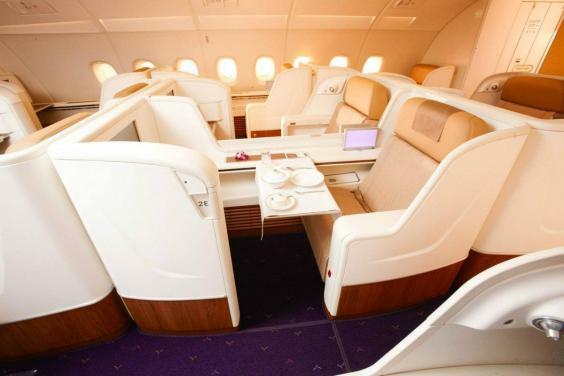 Thai Airways' royal first class comes with private pods that have a minimum width of 21 inches and come with flat screen TVs. A one-way ticket from New York to Bangkok will set you back about $6,000. 4. 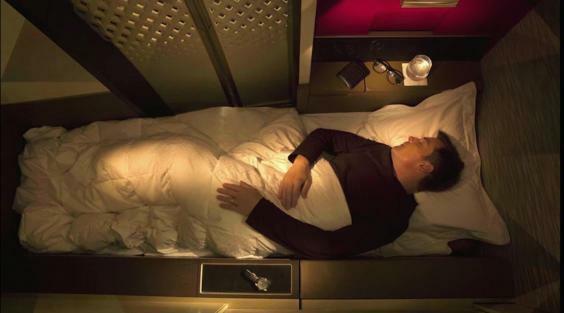 First class flyers on Cathay Pacific Airways, which can cost $28,000 round trip, get there own little pod that can turn into a bed. You also get a personal TV, your own pajamas, and a LCD touchscreen that lets you control the lights. 3. 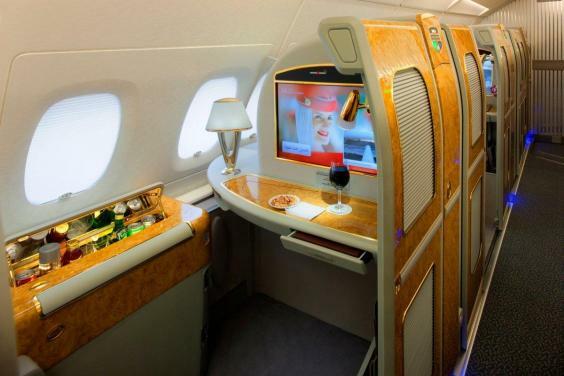 A first class flight on Emirates from Dubai to New York can cost upwards of $9,000 one-way. But you can take advantage of your own mini bar. 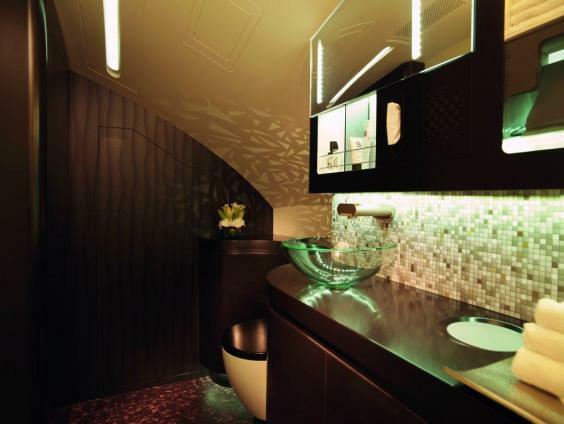 And the bathroom has a selection of Bvlgari toiletries and Timeless Spa products. You can even get some fresh juice after your shower! 2. 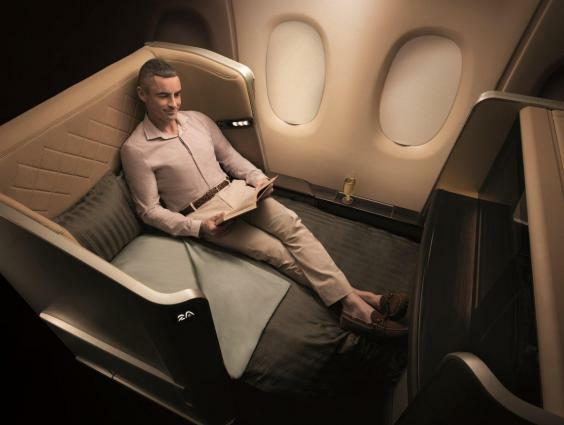 This bed on Singapore Airlines may actually be better than most at-home mattresses. The beds are 35 inches wide and 82 inches long on select aircrafts and have an additional mattress topper to make them extra comfy. And if you're not ready to sleep, you can still take advantage of the wide seats. 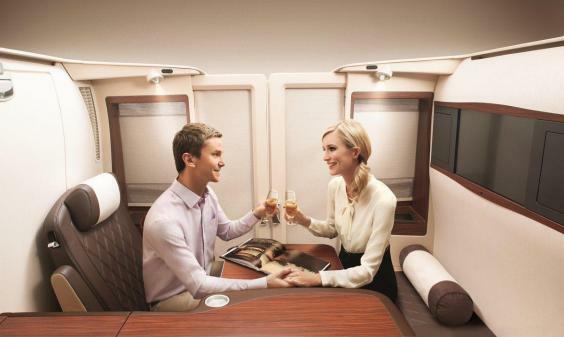 You can even get your own private suite on Singapore Airlines. 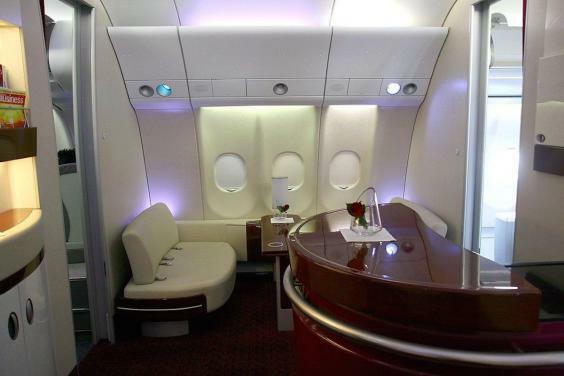 A suite costs around $18,400 round trip. 1. 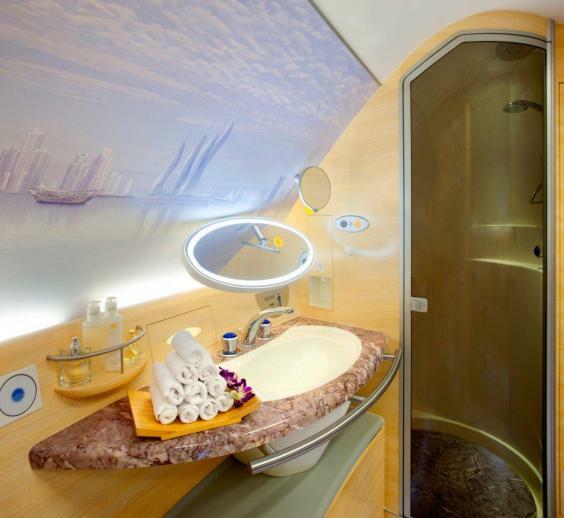 Etihad Airways, the national airline of the UAE, has several luxurious flight options. Those who book the "Apartment" experience get an armchair, bed, and personal shower. But it'll cost you upwards of $30,000 for a one-way ticket. 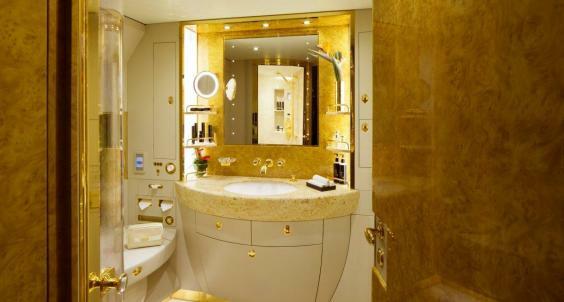 The Etihad bathroom comes with toiletries and bathrobes. 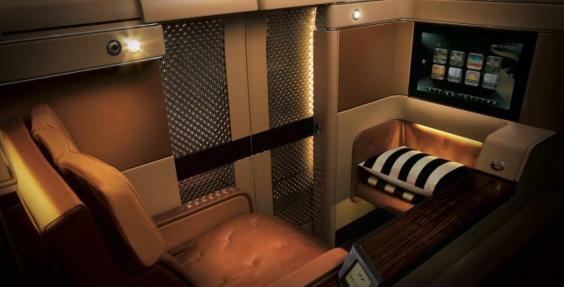 The Etihad cabin really just about as luxurious as it gets.